Applicants are required to hold a Masters of Fine Arts (MFA) in glass, sculpture, or other related fields. There is a strong interest in individuals who have experience teaching in a school or university environment introductory glass and sculpture courses. 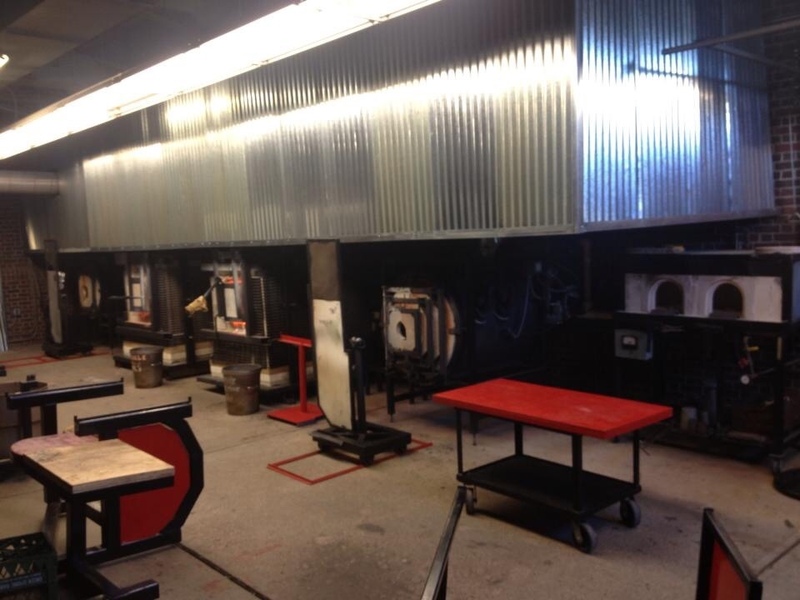 Prefered qualifications include foundational glass skills using hot and kiln casting, glass blowing, foundry, wood shop, mold room, metal shops. Basic fabrication skills and the willingness to learn new skills are a must. Experience in digital technology is a plus. Applicants submitting by Oct. 1st, 2017 will get priority in consideration. The position will remain open until filled. Salary will scale to qualifications and experience in the required duties. After verification of eligibility to work in the U.S., the appointment will begin in Aug. 2018. Interested individuals must apply online with a letter of interest, a brief description of the applicant’s education, qualifications, previous experience, statements of teaching philosophy, a sample of course syllabi, graduate and undergraduate transcripts (copies also accepted), names and contact information of at least three professional references, 20 images, each of professional and student work through Slideroom. If you have any questions, contact Committee Chair, Bill Wolff at wawolff@salisbury.edu. The full job listing can be found here.